When one woman runs for the presidency in the United States, the commentary is about style over substance. When two women run, the press turns it into a catfight. When more than two women run, it messes up the press. At least that’s what Marie C. Wilson has observed throughout her career as one of the nation’s leading women’s advocates. “We are heading down cats alley now,” she said. 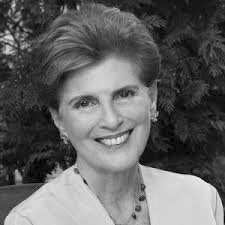 Wilson is an award-winning entrepreneurial political organizer, founder and president emerita of The White House Project, and honorary founder and president emerita of the Ms. Foundation. She has also written two books, Closing the Leadership Gap: Why Women Can and Must Help Run the World and Getting Big: Reimagining the Women’s Movement, and co-authored a third, Mother Daughter Revolution: From Betrayal to Power. At 1 p.m. today at the Chautauqua Women’s Club House, Wilson will conclude this season’s Chautauqua Professional Women’s Network speaker series with a talk titled “Gender and the Presidency.” Back by popular demand, this will be her third CWC-sponsored presentation in as many years. Wilson will discuss the barriers and opportunities women have been encountering when running for the presidency. In a field of nearly 20 Democratic presidential candidates, Hillary Clinton is the only woman. There are more than twice as many Republican presidential candidates. Two are women — Carly Sneed Fiorina and Shawna Sterling. Little is known about Sterling. The Republican National Committee included Fiorina in the first two of its debates. Although she participated in the main debate in Goffstown, New Hampshire, on Aug. 3, she was relegated to the secondary debate in Cleveland on Aug. 6. According to Wilson, there is historical precedent for two women — one on each side — running for the presidency. Wilson was referring to Clinton’s joke during the annual “Day in Blue” luncheon for the South Carolina House Democratic Women’s Caucus and the South Carolina Democratic Women’s Council on May 27. When Elizabeth Dole was running for the Republican nomination in the 2000 presidential election, she “showed up in New York and had changed her policy on gun control, yet the first sentence in The New York Times, the paper of record, was about her green suit,” Wilson said. The notion of whether or not women candidates can be trusted has also been a deterrent on the campaign trail. Wilson said she struggled with it at the White House Project, the nonprofit she founded in 1998 to advance women’s leadership in every sector, including government, institutions and corporations. Wilson said she feels very strongly about this because she has spent years working on how people come to trust women, and on the three Hs of style. Because there is a history at Chautauqua Institution of support for women’s education and issues, she will share what she has learned from her historical research on the CWC.